Some OCCC students want rowing machines in the Wellness Center, or for FOX News not to be on campus televisions. Some students just want to tell school employees if they are doing a good or bad job. The college receives feedback from students in a couple of ways: through MineOnline and in comment boxes located on campus, said Student Life Director Erin Logan. She said each Friday Student Life staff members collect the cards from the seven campus collection boxes. Logan said after receiving the comment cards, she forwards them to the President’s Cabinet member who represents the division to which the comment is related. She said she asks for a copy of the response. A recent comment card, from a batch collected on Oct. 9, said several of the handicap access doors on campus have been broken for weeks. Student Services and Enrollment Acting Vice President Marlene Shugart said after Facilities Management was notified, they checked all handicap door operators on campus. She said that only one handicap door operator, was found to be broken and is now fixed. It was located at the Science Engineering and Math Entry 2. Another comment card submitted during the fall 2015 semester requested a rowing machine in the Wellness Center. “Of all the equipment that I’ve ordered, that was probably the only thing that I had … a few people requesting,” said Recreation and Fitness Director Mike Shugart. One comment card complains about the high cost of food and low level of service at OCCC’s cafeteria. Marlene Shugart said Consolidated Management, a private company that has a contract with the college, oversees the cafeteria. She said that company, not the college, manages prices and employees, so that card could not be addressed. Not all the comment and suggestions cards are negative. Another card congratulates Academic Adviser Poa Lee for her hard work. Acting Vice President of Enrollment and Student Services Lisa Fisher said she enjoys receiving positive feedback about employees in her division. She said she forwards the feedback directly to her staff members. Another comment card recommended the college start a community garden. Both Fisher and Marlene Shugart said there are no current plans to create an OCCC garden. Logan said a link to the electronic Comment Card can be found on MineOnline under the help and feedback tab. She said students have the option to be anyonymous, and that most students choose not to be responded to. Acting Executive Vice President Steven Bloomberg said feedback from students is very important to him and the college. Bloomberg said OCCC benefits from the process of continual improvement. 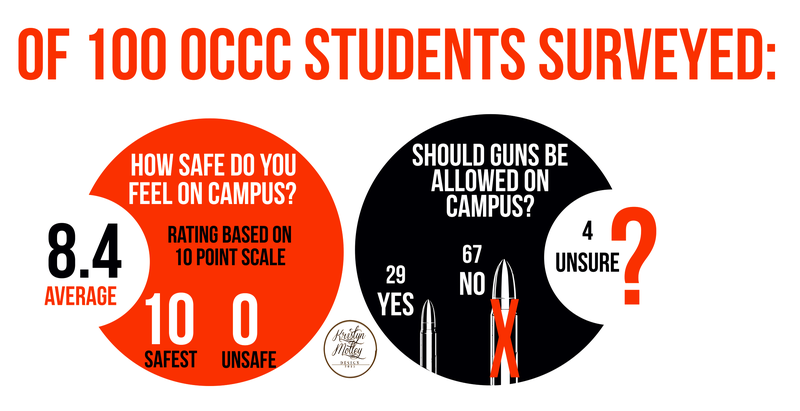 To submit an online comment or suggestion, visit www.occc.edu/studentlife/comment.html.